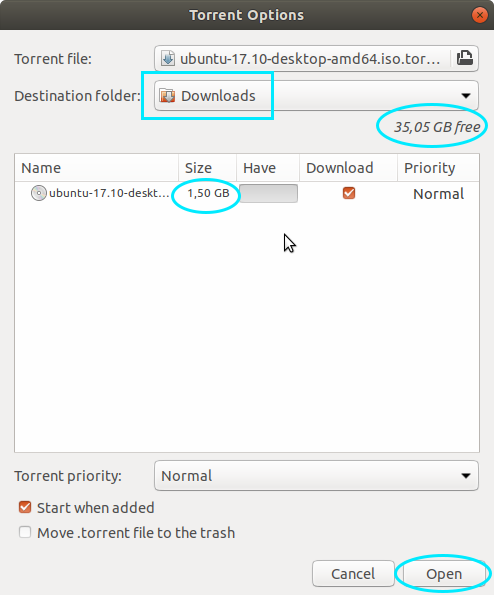 This simple tutorial explains you 3 steps to download Ubuntu via BitTorrent. This unique way of downloading often faster (e.g. 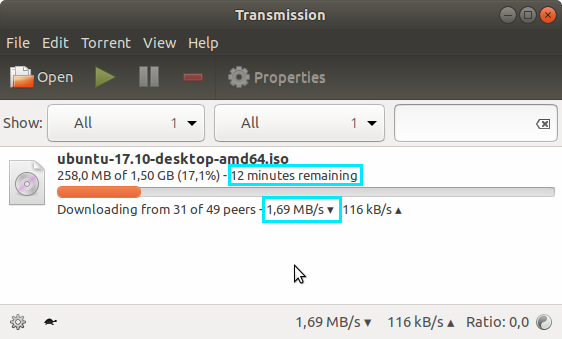 1.5GB in only 12 minutes) and by using this you helped Ubuntu official servers to reduce its heavy load. You will use Transmission BitTorrent client (it's already in your Ubuntu) to download the .torrent file and finally download the .iso file of Ubuntu 17.10. This tutorial is applicable to any other torrent downloading. Happy downloading! Basic knowledge: downloading via torrent is firstly not downloading the actual file, instead, downloading a very small .torrent file. 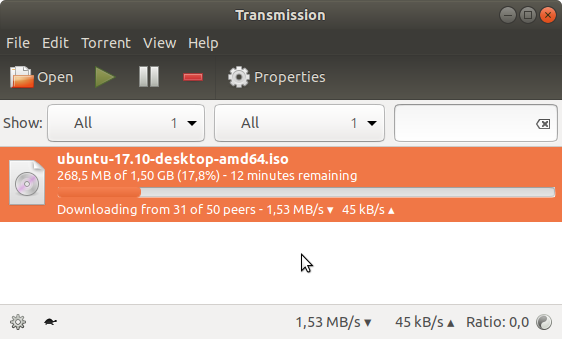 Then, the real downloading is by opening this .torrent file inside an application called 'BitTorrent client'. This article is about torrent. If you want to install Ubuntu 17.10, read the tutorial. Get the .torrent file from official server (or, list like ours). Make sure the .torrent filename matches with the .iso filename. 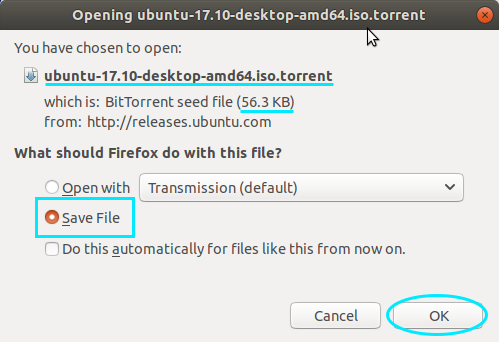 For example, if you want ISO image of ubuntu-17.10-desktop-amd64.iso then you download the torrent file ubuntu-17.10-desktop-amd64.iso.torrent. Then save the .torrent file to your folder. Now right-click the .torrent file > Open With Transmission. A dialog will ask you where to save the real .iso file & show you the file size (e.g. 1.5GB) and disk space available (e.g. 35GB free). If anything is OK, press Open button. Then the BitTorrent application downloads the real .iso file for you. You may notice that the download speed is often faster than the usual downloading via http. Happy downloading!